The Holy Bible is Christianity’s most sacred text. For some, it’s a guidebook on how to navigate the tumultuous yet equally wondrous road that is life. 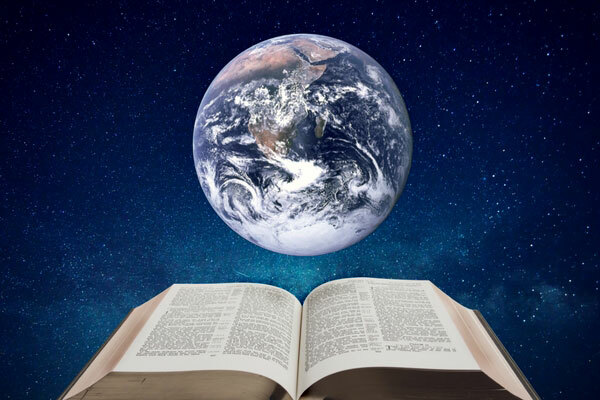 For others, it’s a storybook that crosses a multitude of genres, and chronicles everything from the creation of the world to the lives of ordinary men touched by the love, wisdom and might of God. But above all, the Bible is a gift from God himself. From it, we can understand his purpose for us humans, what he expects from us, and finding out what kind of person you are. When it comes to the books of the Bible, the longest is Psalms, which contains 150 chapters (or psalms) made up of 43 743 words. The shortest book is 3 John, with only one chapter and 299 words. The longest and shortest chapters also belong to Psalms: Psalm 119 has 176 verses, while Psalm 117 only has two. Esther 8:9 is the longest verse with 90 words. That’s 24 000 words more than Leo Tolstoy’s War and Peace and over 40 000 words less than Victor Hugo’s Les Misérables! Of course, the word count varies when translated from the original languages, so don’t start counting every single word in your copy/version of the Bible for the sake of accuracy. There’s about 611 000 words in the Bible – and you’ll never find the word “Trinity” in it! Twenty Bible verses mention all three members of the Holy Trinity: God the Father, God the Son (Jesus Christ), and God the Holy Spirit. But the word “Trinity” itself? It’s not mentioned at all. A diverse range of authors wrote the Bible over a period of 1500 years. From shepherds and fishermen to soldiers and physicians, at least 40 individuals were inspired by the Holy Spirit to put God’s message into words for his people. The first five books are often credited to Moses (despite the fact that he died before some of these events occurred), Paul wrote the most individual documents (13 letters), and the identities of some writers are still unknown to this day. 188 women are named in the Bible, and of those women, only 93 speak (and only 49 are named). Together, they speak 14 056 words – that’s 1.1% of the Bible’s content. The majority of the Bible was written in what is modern-day Israel in Asia. Some of the New Testament epistles, however, were written from cities in Europe, while some passages from the book of Jeremiah were written in Egypt, right here in Africa. Originally, the Bible was written in Hebrew, Aramaic and Greek. Portions of the Old Testament were written in Hebrew, the language of their readers, while small parts were written in Aramaic. When the New Testament was written, the commonly-spoken language at the time was Greek, hence why the second part of the biblical text was written in Greek. Speaking of Greek, the word “bible” comes from the Greek word bíblos, which means “books”. It may have derived from Byblos, an ancient Egyptian port city where papyrus used to make books and scrolls were exported to Greece. In fact, the Bible – or the Holy Scriptures, as it was also known as – was written on papyrus scrolls and later on parchment. Jesus’ physical appearance is never described in the Bible. No one knows what Jesus looked like, and the Bible doesn’t give any details. He most likely wore a beard (in accordance with Jewish law), and was probably quite strong if he was able to overturn the tables of merchants and money changers at the temple in Jerusalem. Otherwise, Jesus’ appearance is never described, and it’s safe to say that he possessed Middle Eastern features instead of the fair, blue-eyed features that are prominent in Western works. Clearly the Eighth Commandment is never considered when it comes to stealing the Bible. From books shops to hotels and places of worship where it’s available for free, the Bible is the most commonly stolen book. It’s up for debate as to why this happens, but explanations such as Bibles being too expensive to purchase or that it should be made free are seen as possible reasons.